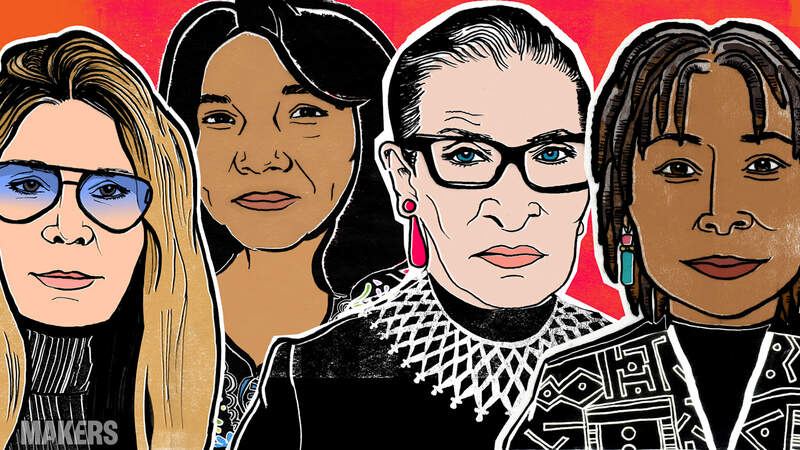 In honor of Women's History Month, MAKERS is highlighting trailblazing women who are making changes today, and inspiring the ChangeMAKERS of tomorrow. All month long we've put the spotlight on fearless women who paved the way. Here are 5 quotes from female HistoryMAKERS, illustrated by our talented graphic designer, Nathalie Gonzalez. 1. Making History, the infamous quote by Laurel Thatcher Ulrich. 2. Gloria Steinem, the original feminist activist and our "Mother MAKER". 3. Dolores Huerta, Civil Rights icon and Co-founder of United Farm Workers. 4. Ruth Bader Ginsburg, legal pioneer and outspoken Supreme Court Justice. 5. Alice Walker, legendary author and the first African American to win the Pulitzer Prize in fiction. For more trailblazing HistoryMAKERS, check out our Women's History Playlist.